Read more about Papa’s Freezeria To Go! on our blog! Your dream job has turned into reality. 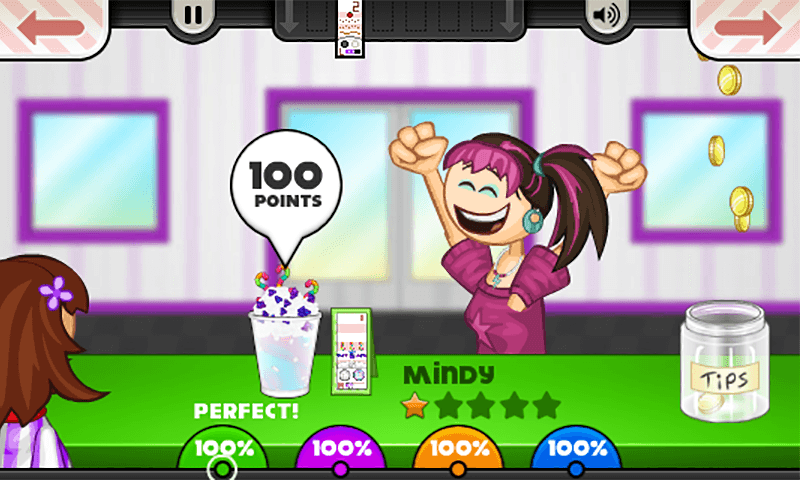 Work at an ice cream shop! Prepare yourself for a delightful journey, in which your main goal will be to impress your customers with the frozen flavor only the best sundaes in the world can provide! Are you up for the job or not? Create the most incredible sundaes and serve your clients at an oceanfront ice cream shop managed by Papa Louie! Play Papa’s Freezeria to Go! on PC and Mac with BlueStacks and transform yourself into a multitask employee between each are of the shop. Receive the customers at the Order Station and then go to the Build Station to combine amazing ingredients and overwhelm your clients with the most amazing sundae experience they’ve ever experienced. Jump to the Mix Station, mix it all and, of course, give the final touch at the Top Station, pouring whipped cream and toppings before you finally serve them. Can you handle all these tasks or are you going to end up looking for a new job? Think about it: working at an ice cream shop is probably everybody’s dream, and it’s up to you transform it into reality! 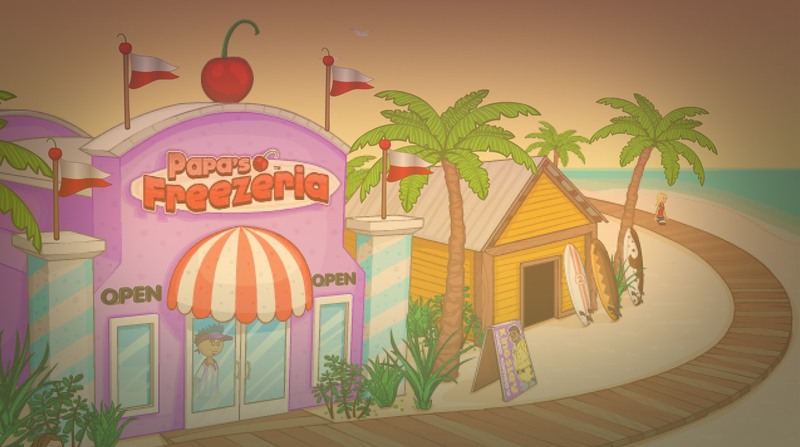 Download Papa’s Freezeria to Go! 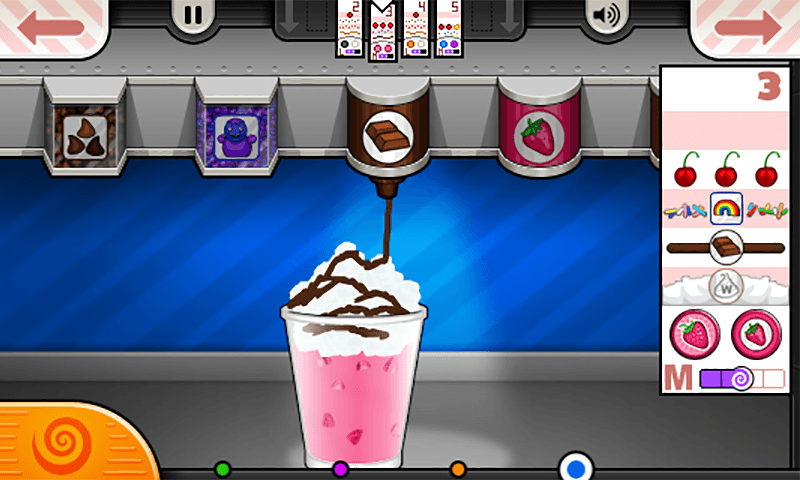 on PC with BlueStacks and make everything in your power to sustain your dream job at Papa’ Louie’s Freezeria! Why play Papa’s Freezeria To Go! on Bluestacks? Play Papa’s Freezeria To Go!. Redeem your BlueStacks Points. Get rewards! The BlueStacks Gaming Platform allows you experience the Papa’s Freezeria To Go! game in its truest form. It is hard to go back to ‘regular’ play, after playing Papa’s Freezeria To Go! the BlueStacks way! 3 Papa’s Free... Go to the search bar at the top-right corner and search for Papa’s Freezeria To Go! 6 You're all done! 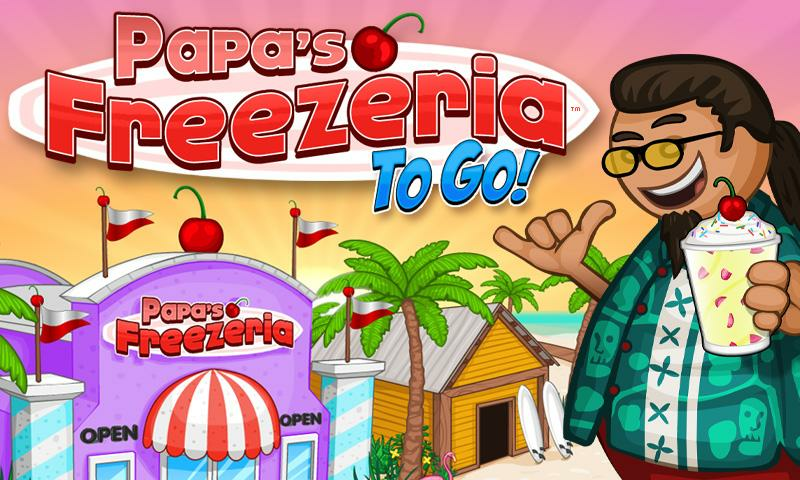 Enjoy playing Papa’s Freezeria To Go! on your PC. You have just been hired for your dream job: an ice cream shop. The only thing you don’t need during your work hours is for the device you use to play to freeze, right? Just imagine how catastrophic that would be, as you’d probably be fired before you can’t even blink. Remember: at Papa’s Freezeria to Go!, the customer’s satisfaction is all that matters, so don’t waste this great opportunity to keep your job. All you have to do to avoid this terrible situation is to download Papa’s Freezeria to Go! on Windows 7, 8, 10 with BlueStacks and use the most powerful gaming engine ever created! Forget about those clumsy controls and tiny screen of your smartphone: play it big, on your PC, with the mouse and the keyboard to help you achieve your goals. Plus, and most important, rely on a much faster and stable internet connection, avoiding lags and, of course, frozen screens! The best workers will always count on the best tools. Be one of them! A great community packed with ice cream lovers: the internet. Do you know where you could be testing your sundae mixes, flavors and topics? 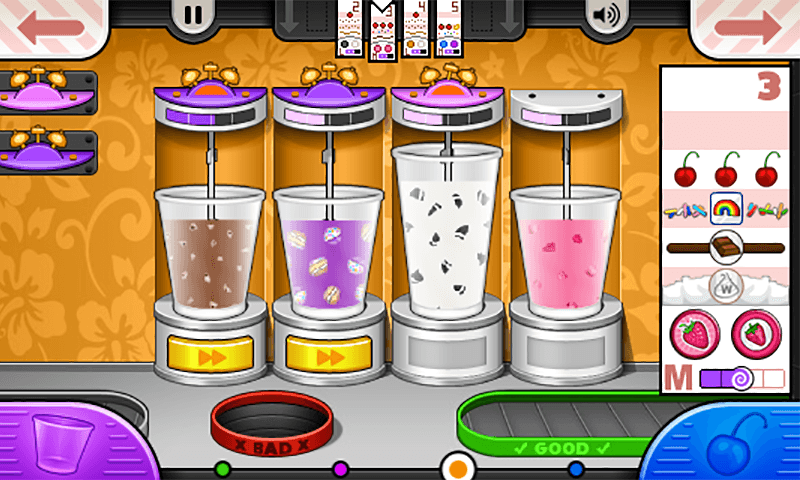 At the great online gaming community, a place packed with ice cream lovers and players thirsty to taste your combinations. Play Papa’s Freezeria to Go! on PC with BlueStacks and start broadcasting your best creations in real time with just one click, via Twitch.TV or any other social network you feel like using. Ice Cream is always better when you have the company of friends to enjoy. Socialize your game and get in touch with other players using the new and improved BlueStacks!